Experience the story of Fisica and Ritmo as they try to bring back color to a devastated world. 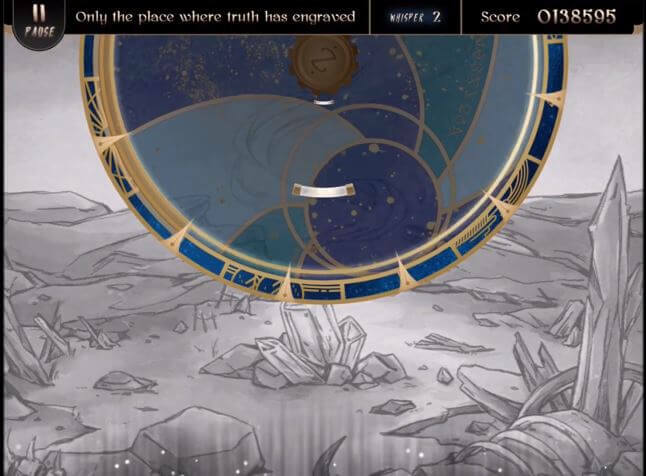 The first thing you’ll notice in Lanota is its beautifully-crafted storytelling mechanics though its plot isn’t something that will win a literature award. Instead of merely plastering a playlist and letting players progress through the levels and difficulty spikes, it tells the story through a pretty picture book and of course, the music. Just looking at at the hand-drawn map while listening to the soft music will treat you to a whirlwind of emotions which turns into a storm when you reach the story sequences. 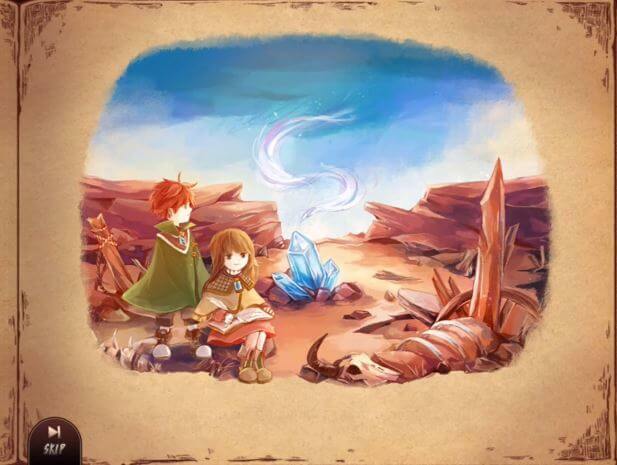 You’ll follow the adventures two children, Fisica and Ritmo. The duo are on a journey to rid the world of a curse which somehow left the world devoid of color. You’ll progress through Lanota by earning Notalium which you’ll receive whenever you complete songs. By doing so, you’ll bring back life and color to the devastated world. Lanota’s gameplay is fairly similar yet unique when compared to other rhythm games that came before it. Instead of using tiles that fall downward on the screen, it uses a circular play area. In a nutshell, instead of going downward, the rhythm bars or liines head to the edge of the cirlce and once they reach the designated area, you’ll have to make your move. Apart from the standard tap, you’ll also have to slide or swipe depending on the song. Speaking of songs, the circular play area feels more dynamic and alive compared to square, line, or rectangular bars. In a way, this represents the songs fairly well especially when you consider that the circle size changes whenever you reach certain parts. At times though, the circle makes the difficulty spikes are hard to deal with. This is primarily because it moves around, making it hard to follow with both your eyes and fingers. There are also some instances wherein the circle is obscured by the edges of your screen which in turn makes it impossible to hit some notes. Thankfully, you can change the difficulty levels (Whisper, Acoustic, Ultra), if things get hard to deal with. There are currently 113 songs, including those on the expansion packs. 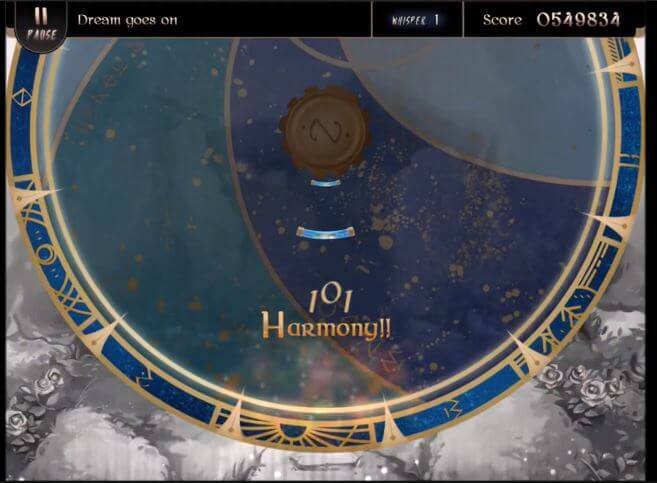 Though Lanota is a singleplayer game, you can compare your progress and leaderboard scores with your friends and players across the world. The game also boasts a fair amount of replayability. More than once, you’ll end up revisiting earlier levels to unlock new rewards and beat your earlier scores as you progress and get used to the game’s mechanics. Overall, Lanota isn’t just original, it reinvents the entire rhythm genre. By adding it a good story and picturesque aesthetics Its free version gives you limited access to the full story and removes the ads. You can unlock the full game with just $1.99, which is a huge bargain.